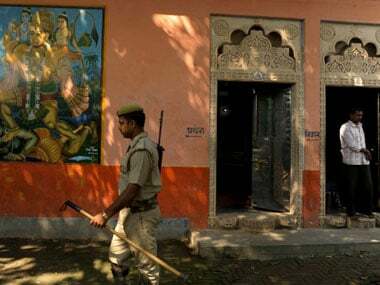 Meerut: The Akhil Bharatiya Hindu Mahasabha on Thursday said it has established the 'first Hindu court' in reaction to a Muslim body's plan to open 'Shariat courts' in all districts. 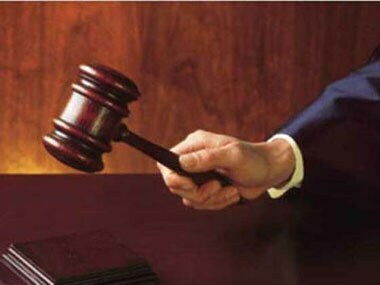 National vice-president Ashok Sharma of the Mahasabha said the 'Hindu court' was established on Wednesday on India's Independence Day with Aligarh resident Pooja Shakun Pandey as its first judge. He said the 'Hindu courts' would resolve family and other civil disputes amongst Hindus through amicable settlements. He said the Mahasabha had earlier written to them demanding the closure of 'Shariat courts' as India can have only one Constitution and a single judicial system. The Mahasabha had asked the government to ban the 'Shariat courts', but as its letters got no replies, it opened the 'first Hindu court' on 15 August, he said. 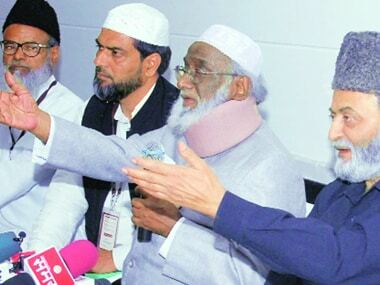 The All India Muslim Personal Law Board (AIMPLB), the highest decision making body on Muslim affairs, earlier on 8 July had said it planned to open 'Shariat courts' in all districts to resolve issues in line with Islamic laws. Sharma said the Mahasabha would set up five more 'Hindu courts' at Aligarh, Hathras, Mathura, Firozabad and Shikohabad on 15 November, the day Mahatma Gandhi's assassin Nathuram Godse was hanged. He said the organisation planned to establish altogether 15 'Hindu courts' in the country at the earliest. Pooja Shakun Pandey, nominated as the first judge of the 'Hindu court' said her 'court' did not require any statutory approval just like the 'Shariat courts', which are running as per the Shariat laws without any legal approval.